A unique attraction of the K. Sawada WinterGarden at the Mobile Botanical Gardens is its rare and significant collection of camellias developed by the region's renowned local growers. None were greater than Kosaku Sawada who famously grew a chest of seeds sent from Japan by his wife's family (as her dowry) to produce a series of cultivars that changed American camellia history. Many of Sawada's introductions, plus hundreds more, are on display amidst a 100-acre scene of gardens and longleaf pines in an unusual coastal ridge setting. In 2013 the American Camellia Society named the K. Sawada WinterGarden to its American Camellia Trail. 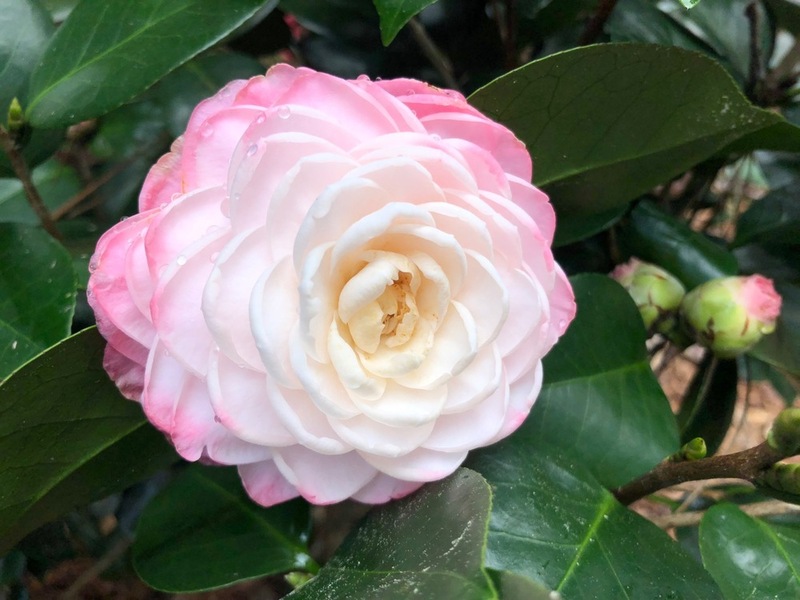 The five-acre WinterGarden has many decades-old tree sized camellias, as well as newer additions that represent the noteworthy cultivars of the last 50 years. They are displayed along with locally developed hollies, Japanese maples, crape myrtles and one of the world's largest collections of azalea hybrids. The warm humid climate of the northern Gulf of Mexico at Latitude 31 (parallel to Interstate 10) is also very favorable for outdoor growth of camellia reticulata hybrids and new species, which are well represented in the garden. Every great garden has a human pedigree. Camellias are believed to have first arrived from Europe through the Port of Mobile nearly 200 years ago. But the inspiration for today’s K. Sawada WinterGarden really began with the arrival in 1910 of a Japanese immigrant. Kosaku Sawada, fresh from horticulture school in Osaka, had journeyed to America with big dreams to manage an experimental Texas rice farm after the 1904 St. Louis World's Fair. But fate and a series of setbacks led him to start a small nursery in 1914 growing a plant well known in his native homeland—camellias! He bought some land on a coastal ridge overlooking Mobile, Alabama, and named his new nursery “Overlook”. Many years of painstaking work followed, during which Sawada said only a small number of seedlings from two separate years—1925 and 1931—produced flowers worthy of public distribution. He attributed those successful crops to the fact that the seeds were gathered from two of the finer gardens in Japan and sent to him by his brother. Those two seed crops produced many new varieties that became "must have" selections in the 1940s. Harold Hume made them his first 23 selections in the article "New Camellia Varieties" in the 1948 American Camellia Yearbook. They were also the first new ACS registrations after the historical varieties. They included such notables as 'K. Sawada,' 'Mrs. K. Sawada,' 'Imura,' 'Sarasa,' 'Lurie's Favorite,' 'Queen Bessie,' 'Frizzle White,' 'White Pine Cone,' 'Tricolor Superba,' 'White Empress,' 'Victory White,' 'Blush Hibiscus,' 'Liberty Bell,' and 'Smiling Beauty,' to name a few. Sawada’s new hybrids were of amazing quality. He had hit upon a new way to satisfy the garden world’s thirst for new camellia varieties. And his research and experimentation (which he freely shared in lectures and articles) inspired a whole new generation of hybridizers. Amateurs and connoisseurs alike were making their way to Mobile. It was no surprise that the ACS chose Mobile for its first Annual Meeting in 1947. Sawada’s groundbreaking work also inspired a juggernaut of camellia hybridization in the Mobile region. 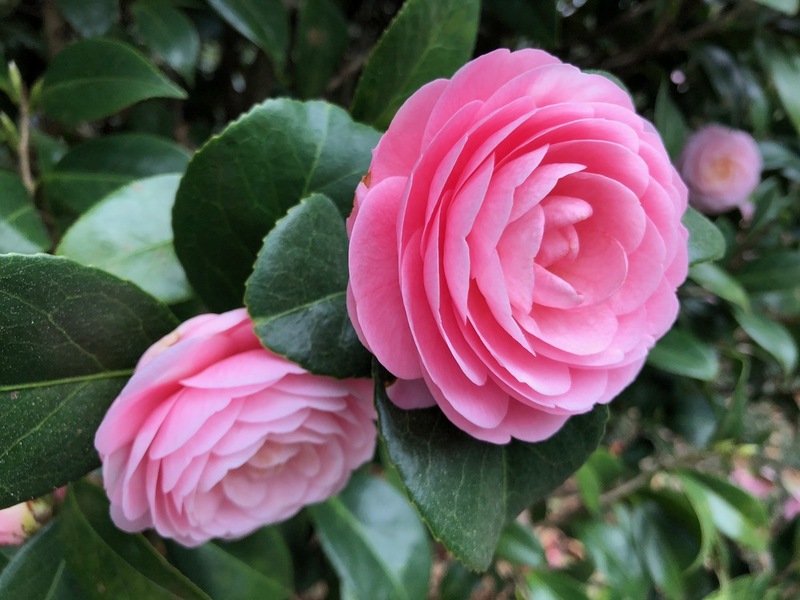 Nurserymen and hobbyists alike set to work developing new varieties to feed the demand for new camellia varieties, their names likewise now enshrined in camellia history. They included men such as Robert Rubel whose Longview Nursery spread the camellia message worldwide. T. Kiyono was featured in Life Magazine as having the largest camellia nursery in the nation. Tom Dodd Jr. began creating new cultivars including ‘Bonanza’ and others which served the broader landscape market. And of course Walter Bellingrath built the ultimate camellia showroom at the world famous Bellingrath Gardens. A young nurseryman during those years was Bob Green, a Chicago transplant, who opened a nursery along Mobile Bay in Fairhope, Alabama in 1932. Green’s stories of Sawada, Kiyono, Rubel and others made a lasting impression upon his son Bobby Green Jr., who now operates the camellia nursery his father founded. 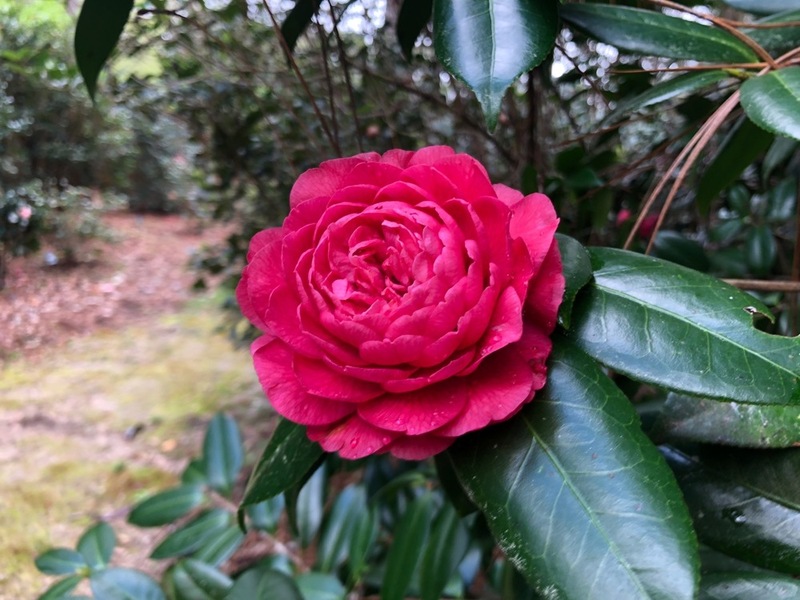 It was Bobby who knew the significance of the older camellias in the Mobile Botanical Gardens, planted fifty years ago by a group that included Sawada's sons. Those plants now comprise the collection's backbone. "To me, that is the primary significance of the garden," Green said. 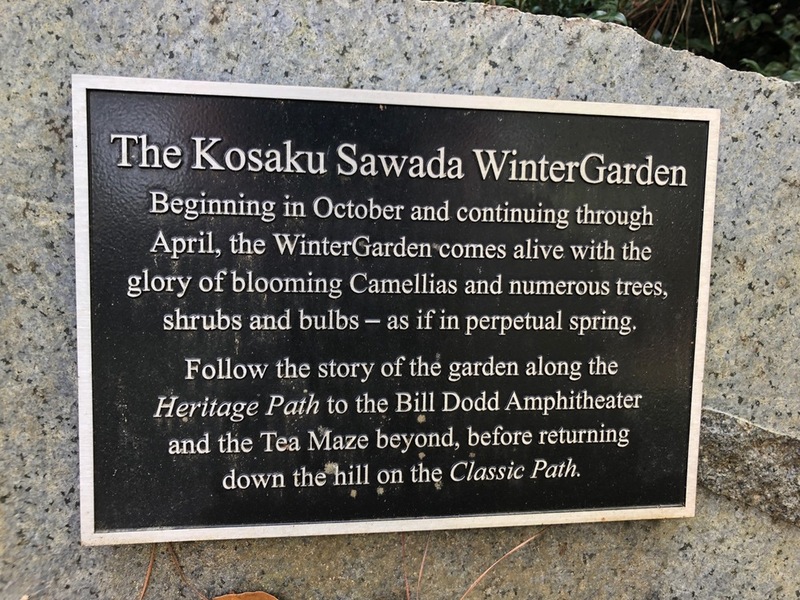 The K. Sawada Wintergarden serves a "unique role as caretaker of the region's camellia heritage." It is a heritage that "contributed significantly to gardens throughout the world." Bobby Green Jr. is a modest plantsman who understates his own role in coming up with the idea of restoring the MBG camellia collection and dedicating it to Sawada. One of America's leading horticulturists, Dr. Bill Barrick, has aptly described Green as a "walking encyclopedia of knowledge on camellias." Green also knows the toil and patience required of a hybridizer, having developed many outstanding camellia hybrids himself over the last 40 years. Under Bobby’s leadership, the original camellia collection at Mobile Botanical Gardens was transformed into the present-day “K. Sawada Wintergarden.” It is now a living monument to the region's legacy of great camellia nurserymen and hobbyists. In this garden are examples of outstanding camellias from Sawada as well as Rubel, Kiyono, Dodd, Alden Davis, J.M. Haynie, H.L. Windbigler, Fred Everette, T.O. Bower, Harry Hardy Smith, Coke Crutcher, Blanding Drinkard, and many others. Besides its recognition as an American Camellia Trail Garden, the K. Sawada Wintergarden was honored in 2014 upon being designated an International Camellia Garden of Merit by the International Camellia Society. The K. Sawada Wintergarden today sits roughly a mile from Sawada's original Overlook Nursery on the same coastal ridge. The garden is continually tended and curated by the garden's staff as well as some energetic volunteers from the many members of Mobile's two active camellia clubs. Also nearby is the site of Longview Nursery, where Robert Rubel was assembling "the world's finest camellia library.” Rubel’s book collection is today the centerpiece of the ACS Library, which also includes a bound set of K. Sawada's original watercolor paintings and notes from his camellia scouting trips in the early 1900s—a marvelous gift from Sawada’s family. The K. Sawada Wintergarden is notable not for its age (a young sixty years) or its grandeur (although occupying 100 acres). It is outstanding for its rare collection of history-making camellias created by K. Sawada and others in the early 1900s—a collection seen nowhere else on earth. It is a living monument to the spirit and enthusiasm of Sawada and others whose lifelong work left us with an inheritance of such a marvelous camellia legacy.